READY NOW!!! Stunning Craftsman style town home with open floor plan. Lots of prep space in this L shaped kitchen, open to dining area and great room. Stunning Stone colored cabinets with Snow Drift Zodiaq quartz counter tops really pop against the Ventura plank style tile floors. Large sliders off the great room open right up to the large screened in lanai with paver flooring, giving you even more room to entertain. Tucked away upstairs is all three bedrooms and a large loft for even more living space. Master Suite has tray ceiling, THREE walk in closets, Master Bath offers large shower and dual sinks. This home is move in ready with a washer / dryer AND refrigerator INCLUDED!!!! Blinds are already there for you too! 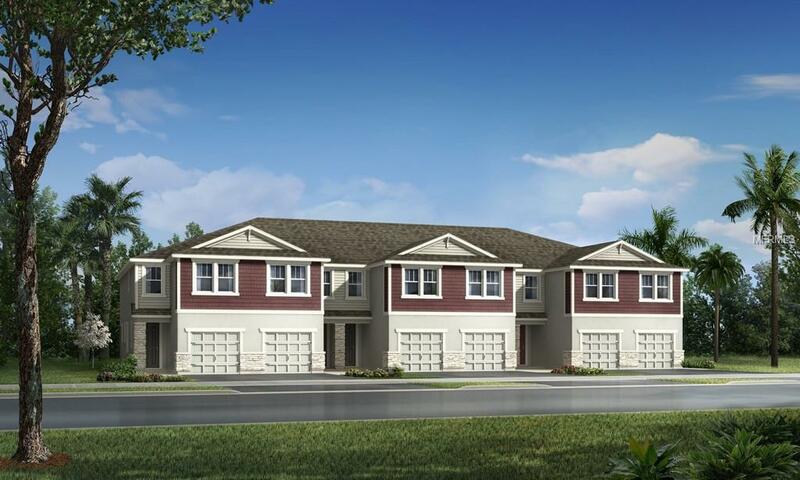 Boyette Park is a quick commute to Downtown Tampa, MacDill Airforce Base and other great Tampa Bay area locations. Grocery, gas and schools all within 2.5 miles. Gated community features open air cabana area with pool, grilling spaces, fire pit, tot lot, trails and dog park.